L-R: (Brunei Darussalam) Ms. Rita Suzanty Andry, Special Duties Officer, Tourism Development Department, Ministry of Primary Resources and Tourism; (Indonesia) Mr. Edy Wardoyo,Director for Marketing, Region IV, Ministry of Tourism; (Lao PDR) Mr. Sounh Manivong, Director General of Tourism Marketing Department, Ministry of Information, Culture and Tourism; (Malaysia) Datuk Musa Yusof, Director General, Tourism Malaysia; (Myanmar) Mr. Hla Myint, Director, International and Regional Cooperation Department, Ministry of Hotels and Tourism; (Philippines) Mr. Arnold Gonzales, OIC – Deputy Chief Operating Officer, Tourism Promotion Board; (Singapore) Mr. John Gregory Conceicao, Executive Director, International Relations, Market Planning and Oceania, Singapore Tourism Board; (Thailand) Mr. Chattan Kunjara Na Ayudhya, Deputy Governor for International Marketing (Asia and the South Pacific), Tourism Authority of Thailand; and (Viet Nam) Mr. Tran Phong Binh, Deputy Director, Tourism Marketing Department, Vietnam National Administration of Tourism. This year, the event was held in Halong Bay in Viet Nam, and each of the 10 ASEAN countries utilized the Forum to highlight their focus areas. 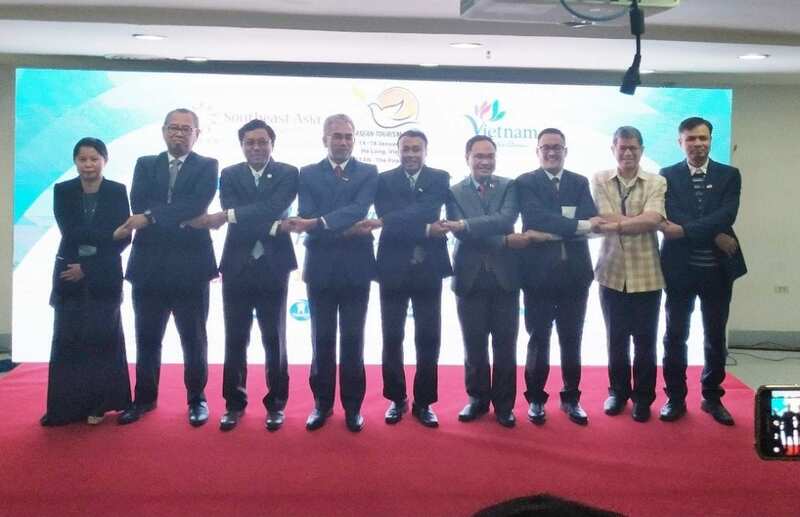 Official meetings took place from January 14 to 18 along with TRAVEX, a platform for the selling and buying of regional and individual tourism products of ASEAN member countries, through a 3-day event from January 16 10 18.